The mortgage pre-approval. If you’re not paying for your home in cash, you’re going to need a mortgage. You’ll need to find out how much a bank is willing to lend you, and what the mortgage rate will be. From there, you’ll know exactly what your monthly payment will be on each property you consider. From the time you ID the property you want it usually takes between 45-60 days to close and move in. Throughout the course of the transaction a Realtor will advise you on every aspect. From negotiating price, home inspections, to the attorney review period, and everything leading up to closing – a Realtor’s job is to make sure your best interest is looked after. Absolutely nothing. In nearly all cases the seller pays their agent a fee, and that agent pays out a referral fee to other agents for bringing buyers and facilitating the transaction. What does my credit score need to be in order to purchase a home? 610 would be nice, but there are other options, and credit improvement strategies to help raise your score. Your score will dictate the mortgage rate you’ll receive when getting pre-approved for your mortgage. If your score is lower than you’d like it’s a good idea to reach out to your Realtor to see if they can recommend a credit repair and improvement specialist. It really depends on the area. In many areas you can put down as little as 3-5%, and in others it may require 20% down. If the area is rural, you may be able to use a USDA loan, which can require no money down. What other fees are there, other than the down payment? While down payment is usually the largest expenditure, lending fees come in second place. You can expect to see 2-4% of the loan amount as the origination fee from most lenders. It can vary, so it’s always a good idea to check in with the particular details of your situation. Additionally, you’ll have to pay a home inspector, which can range from $300 for a condo, up to $1000 for a multi family home. The last large expense will be the attorney costs, ranging from $700-$1500, depending on the amount of work needed and the attorney chosen. You’ll get all the keys, garage openers, numerical codes, etc at closing. Closing typically takes less than 2 hours, and you’ll walk out with the keys to your new home. 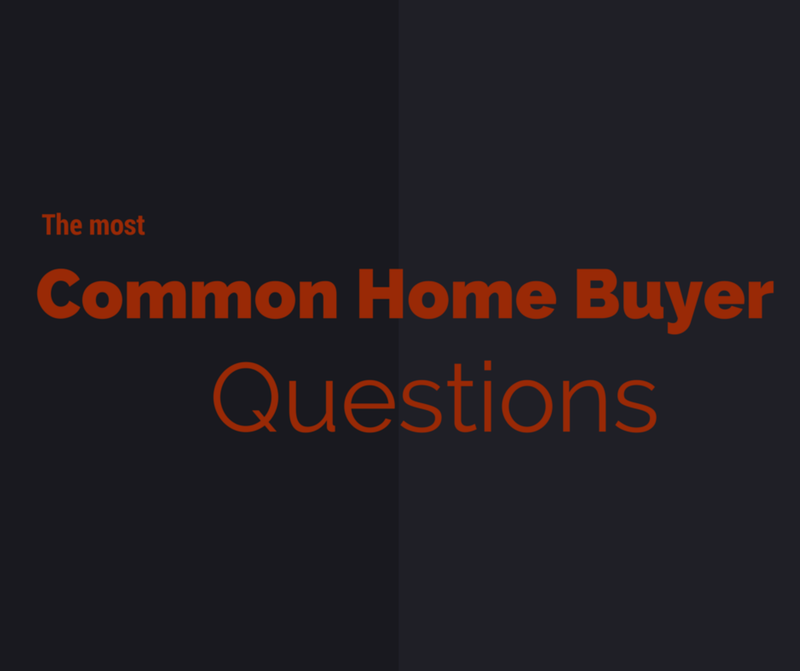 Do you have a real estate question that you would like answered? Feel free to contact us directly, via email, text, or just give us a ring. Remember, a good REALTOR® is your best source of information when buying a home. Once you have a REALTOR® that you trust, start asking as many questions as possible. They will gladly inform and educate you through each step of the home buying process.